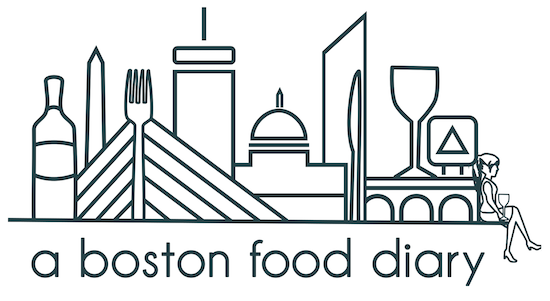 I had the distinct honor of sharing in this meal with Daisy, Jen, Katie, and Sara (who I am delighted to introduce you too- a veteran blogger but new to the inner Boston scene, Sara is a friend from my high school days who has a refined palette and a great curiosity for food- check her out). Just hours before the event we were alerted to the events location (Three Scoops ice cream in Brighton) and were told to arrive at 8:00 pm. I'm not entirely sure that any of us contained our excitement too well. Seated at makeshift tables at Three Scoops, we were greeted by friendly staff and were immediately poured a glass of Dom Perignon champagne- a fabulous start to the evening. The courses throughout the night were served at a leisurely pace so it took some time for our first to arrive, but the beginning was worth it. Set in front of each of us were crostini, rounds of bread topped with a variety of vegetables, fruits and cheeses. 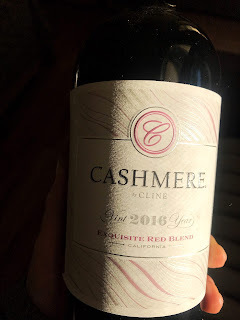 The first was slathered with cranberry enhanced goat cheese, topped with a tomato quinoa mix, and then finally a grilled piece of zucchini rounded off the bite. 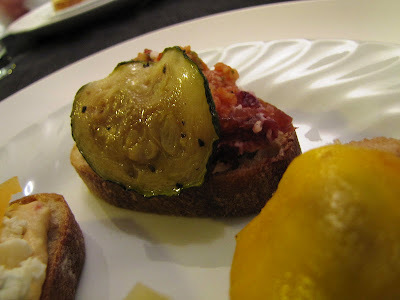 This was a truly interesting mix of ingredients - the tang of the cheese, mixing with the slight acidity and nuttiness from the unique quinoa mix and finally the richness from the zucchini created a wonderful complimentary bite. Next on the plate was a simple preparation of an eggplant bruschetta with a generous chunk of Manchego cheese perched on top. 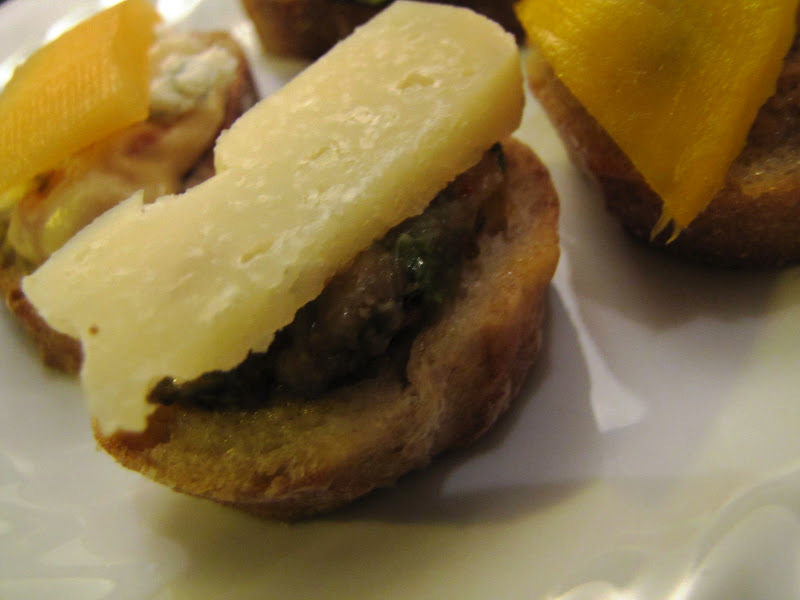 Manchego is a fantastically salty, nutty cheese, and when paired with the creaminess of the pureed eggplant, it was a really nice contrast of flavors. The second two crostini were really the stars of the plate though. One contained a spread of red pepper hummus, a generous sprinkle of blue cheese and was then topped with a thick piece of cantaloupe. We agreed that it was an odd combination of flavors, in particular the addition of the hummus. However when each component was paired with the others each shone through for its natural flavors. 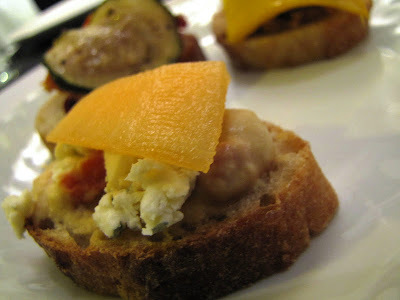 Finally, the last crostini was a smoked fish pate topped with a piece of sweet mango. The treasure here almost got missed- hiding under the mango was a beautiful slice of black truffle. 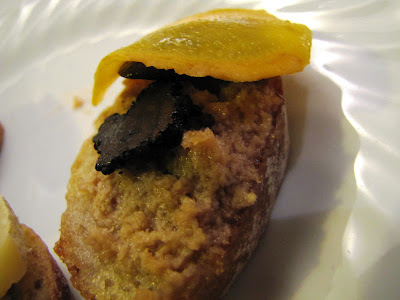 Together, the smoke from the pate, the earthiness of the truffle and the natural sweetness of the mango married together in a wonderful harmony. 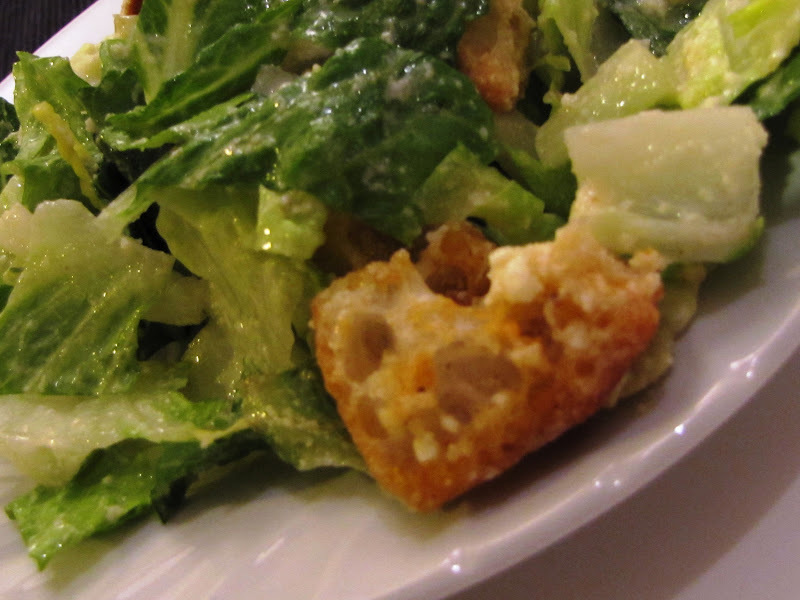 Our next course was a traditional, simple Caesar salad. I enjoyed the fresh crispness of the Romain lettuce, and the salty fishiness of the dressing was enjoyable, though it was overly acidic. The salad had been topped with large toasty croutons though that were a delicious crunchy addition. Overall, there was agreement amidst our table that while the salad was tasty it wasn't the star of the meal. For everything that the salad wasn't our next course was. A bowl fill of fresh green peas, topped with a perfectly poached egg, grilled green onions, sesame seeds, cilantro oil and fresh mint leaves was the perfect way to welcome Spring into our lives. The peas were steamed and full of their natural sweet flavor, and when tossed with the runny yolk of the egg the result was a much more sophisticated play on mushy peas. The beauty of this dish really lay in the distinct flavors that the peas and egg allowed to shine forth. The cilantro oil was light and popped up every so often in bites, and the mint appeared where the cilantro didn't. The playfulness of the back and forth was a treat for the taste buds. 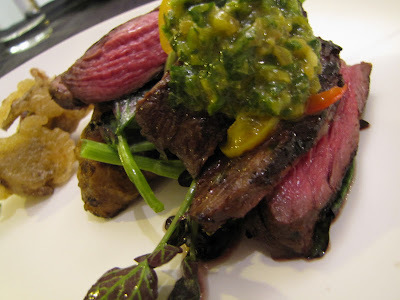 Finally we were presented with our main course for the night, a skirt steak, served a perfect medium rare over roasted sun chokes, braised escarole, deep fried maitake mushrooms and topped with a chimichurri sauce. I am hard pressed to find anything "off" with this dish. The steak was well seasoned and perfectly cooked, the sun chokes were a lovely diversion from a typical potato providing a sweeter flavor, the escarole was wonderfully bitter and the mushrooms were crispy and fun. I suppose if I was pressed, the chimichurri could have had a bit more spice to it for my taste-but I'm sure no one is particularly surprised by that. Ending the meal on a sweet note, our dessert was one for the books. 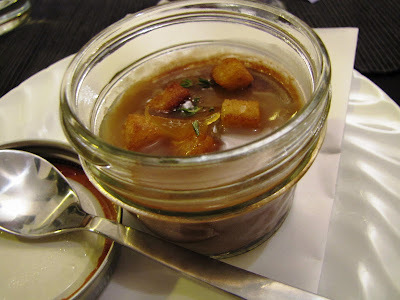 Chocolate Pot De Creme, topped with lemon confit, sour dough croutons, and sprinkled with fresh thyme. This may have been one of my favorite desserts ever. The lemon confit provided this incredibly sweet sour contrast to the rich chocolate and the croutons were a beautiful texture contrast in what could have been a monotonous dish. I felt that the genius of this dish however lay in the fresh thyme. Thyme is a citrusy herb, while still providing those wonderful savory notes we usually apply it for. Here, it brought complimented the lemon confit, and brought a "fresh from the garden" feel to the dish that I felt truly celebrated the spring season. This was a wonderful first experience in the world of Pop Up restaurants. The mystery of the evening was continued throughout the night with the exclusion of a menu, and the luxury of the evening was continued with free flowing champagne all evening long. It was a special evening, one that I was honored to be invited to, and thrilled to be able to enjoy with some great fellow food loving friends. your review is excellent! it really does justice to the beauty of these dishes, not to mention the elements of this pop up as a whole. It was so great to share this with you. I am excited to check out Sara's blog!! Great review. I love the idea of a pop-up restaurant and would like to try more. You look like you had such a fabulous meal! 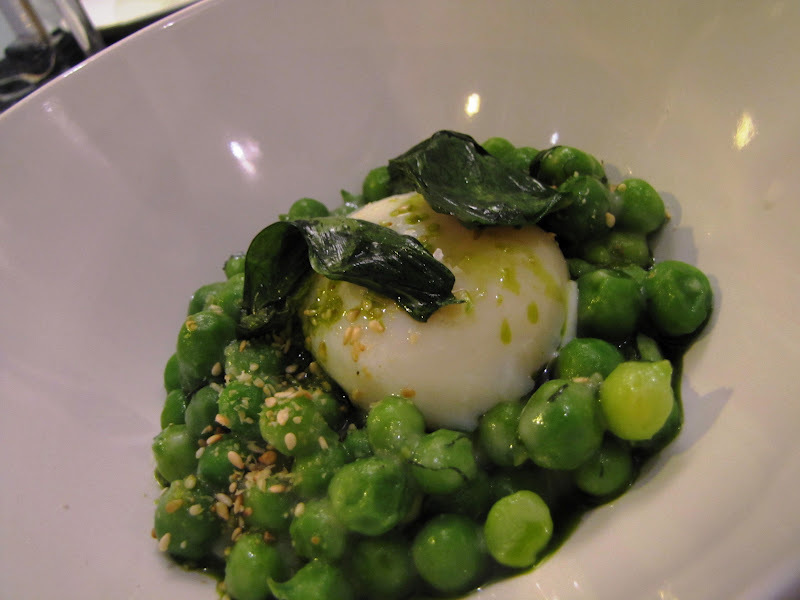 Especially the poached egg with peas, yum. I've always wanted to go to a pop-up dinner. This one looks spectacular. 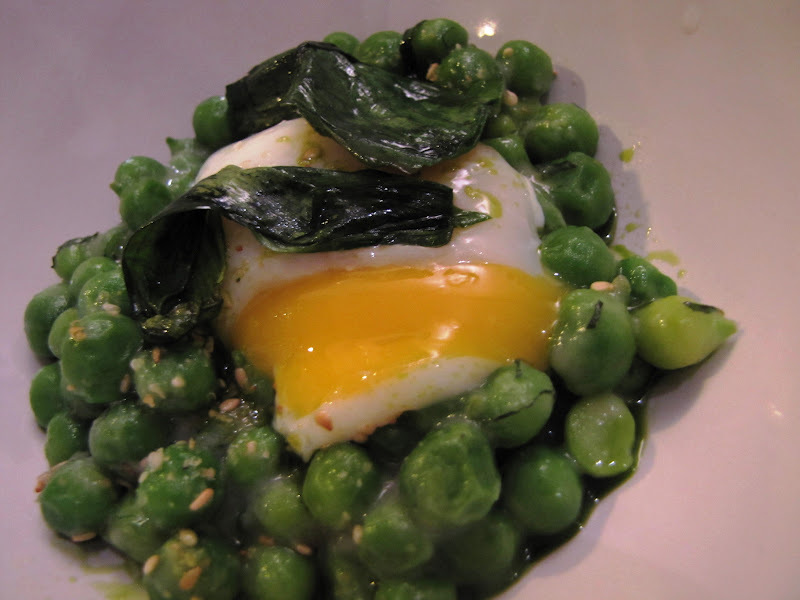 The runny egg over the peas is a great idea! !